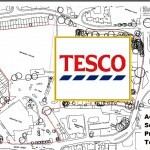 Six months ago the Multinational Megastore Tesco was granted planning permission to build on the green open space yards from peoples homes around the Brewery Field in Westover ward. People were incensed then and opposed it, yet the Planning committee approved it whilst laying down some firm conditions to limit noise nuisance. Six months later and Tesco are back again to vary, amend or delete some of those conditions and extend their opening hours from 7am to 6am. 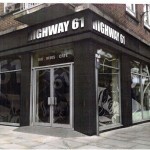 Again local people were angry and opposed this, backed by their local ward councillors. Again, Sedgemoor officers recommended supporting Tesco. At the Development Control committee today, October 1st, Ward councillors Brian Smedley and Kathy Pearce joined residents spokesman Nick Gibson and Bridgwater Town Clerk Alan Hurford in appealing to the Planning committee not to give way again and to insist that their original conditions be met. Condition 10: To remove the safeguards around noise levels based on such flimsy assurance as contained within the report is just unacceptable. Page 3 of the report states “assuming the store operates normally it should not give rise to noise problems …..” We cannot make any assumptions at this stage. The draft Service Management Plan on which we are supposed to base our confidence is littered with words such as “should”, “could”, “may” and “it is not currently possible to be specific”. How can we possibly have confidence? It is not right to agree to these proposals based on the store’s and local authority’s complaints procedures after the damage it done. You have the gift to impose protection for local residents to ensure that they do not have cause to complain in the first place. Condition 12: I believe that the proposal to allow deliveries to start at 6 rather than 7 is unnecessary whilst causing significant detriment to nearby residents. With careful management, surely Tesco can ensure that it has all the stocks it needs within the original hours of delivery. With millions of pounds worth of food being wasted every year, I find it hard to accept or understand why deliveries need to be extended, with lorries trundling by residents doorsteps at 6am. Condition 13: So not only do residents have to suffer deliveries from 6am but is Tesco proposing that it is ok for them to have to endure reversing alarms potentially throughout the night, regardless of tone? I ask the committee to remember that this is not some out of town shopping centre, this store is extremely close to homes. Condition 18: I believe that Tesco should be held to their original obligation. If they believed it could be achieved at the time of the original application, I fail to understand what has changed. 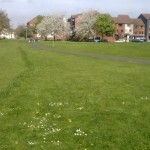 Town Clerk Alan Hurford stated the Town Council’s opposition to the original planning decision and to any weakening of the conditions as granted as part of that decision. Tesco was represented by Gareth Hooper who claimed the conditions were tough and that they just needed the extra hour for deliveries to get fresh food into the store. The committee then debated the issues, largely dividing on party lines with Labour and Independent members arguing to reject Tesco amendments and Tories arguing to support. In the end they had swayed only one Tory (Councillor Grimes) and Tesco again won the day 8 votes to 5.